Although all of 2018 was bearish, the last quarter of the year especially drove the prices down, and December brought no respite. 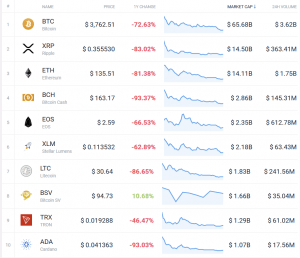 Out of the top 10 coins by market capitalization, tether, a stablecoin, excluded, only three saw a net increase in price at the end of the month – but two of those percentages were in double digits, so the year did not end completely red for everyone. While the losses were big, the gains – for those who made them – were even bigger. This makes for a stark difference between November and December, as the former only had two winners, while the latter both has more and boasts some higher percentages as well. 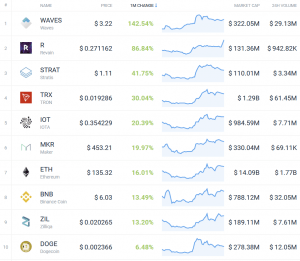 Among top 10 coins by market capitalization, ethereum jumped by 16% and tron was up by almost 30%, Bitcoin was down by more than 9%, while stellar declined by more than 30%, or the most among top 10. The coins following Waves in terms of price increase do not boast triple-digit price increase percentages, but still recorded victories during a bearish market. Revain (R) is one of them, having jumped more than 86% in December following news of a possible Huobi partnership, introducing the News Feed, and launching Crypto Wallets. Another is Stratis (STRAT) with an increase of more than 41%, following news of the release of sidechains and Turing-complete C# smart contracts. This list is significantly different than the one from November, as they only share Waves as a winner – which was a bit of a stretch at the time, as the coin merely lost less than the others in November. 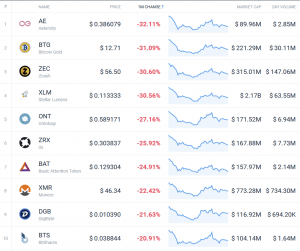 Topping the list of losers is Aeternity (AE) with a loss of more than 32%, closely followed by Bitcoin Gold (BTG) with -31% and Zcash (ZEC) with -30%. 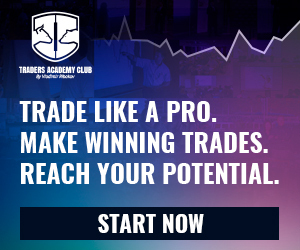 Although winners boasted higher percentages, the losing list had the top 10 loss percentages within a relatively narrow range – between 20% and 30% lost. 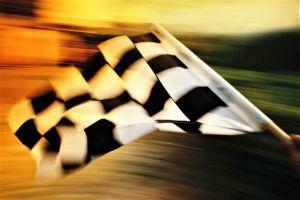 Aeternity was on the losing list last month as well, but the coin’s fall has slowed down somewhat. The only other coin shared by November and December is Ontology (ONT), also slowing down. In the winning list, even Waves is overtaken by Buggyra Coin Zero (BCZERO) which jumped by more than 200% in the top 100. But the rules of the market seem to disappear when we probe even further, as both of these coins are overtaken by giant gains such as Cube (AUTO) which gained more than 1,000%, Paragon (PRG) with +514%, and Envion (EVN) with +365%. Meanwhile, the losers welcome to their list Qash (QASH) which lost more than 46%, WAX (WAX) with -41% and Aurora (AOA) with the same -41% in the top 100. 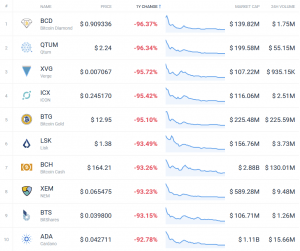 The top 200 add five more coins to the top of the losing list, the first one of them being Nasdacoin (NSD) which fell more than 60%. In the last quarter of 2018, bitcoin dropped by 43%, ripple – 35%, ethereum – 40%, bitcoin cash – 69%, while EOS, stellar and litecoin lost around 50% of their value. As for net increases in the fourth quarter, Revain overtakes Waves here, and they’re followed by Bitcoin SV (BSV) with an increase of more than 11%. All the other non-stablecoins are in red, not having had the time to recover after the bloody bear run of November. 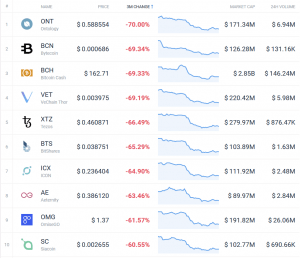 Ontology tops the list of losers for the quarter with a loss of 70%, followed by Bytecoin (BCN) and Bitcoin Cash (BCH), the latter of which suffered most of its losses immediately following the infamous hard fork in November. None of the top 10 losers registered a loss of less than 60%. The year of 2018 has been bloody for everyone except a newcomer: Bitcoin SV, which is the only non-stablecoin to register a price increase at more than 10%. 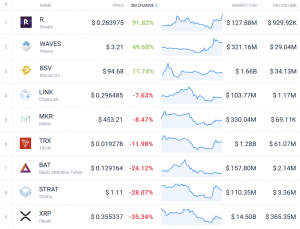 The second biggest “winner” isBinance Coin (BNB) with a loss of more than 28%, followed by ChainLink (LINK) with more than -41%. Even the biggest winner of the quarter, Revain, barely made it to this winning list, but with a net loss of 66%. 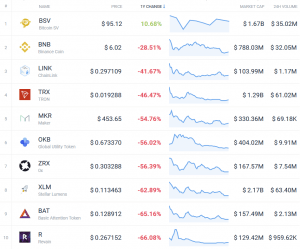 The losing list of the year is even more bleak: not a single one registered a net loss of less than 90%, and the chart toppers Bitcoin Diamond (BCD), Qtum (QTUM) and Verge (XVG) practically ran their price into the ground, all with around 96% lost. Pure Light Technologies Review: Light bulbs that clean and purify air?